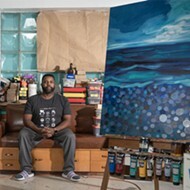 Tyree Guyton asks us to step into his office, and for an internationally recognized artist, his accommodations are incredibly modest. Décor is extremely minimal. We sit on plastic chairs that look like they were donated from an elementary school. A small, square-shaped table stands to our side, with nothing but an old Hewlett-Packard computer monitor on top of it, which isn't even plugged into anything — "Your time is up!" is scrawled on the blank screen in white paint. Hell, the office doesn't even have walls, or a ceiling. We know we're not really in Guyton's office, but we play along anyway. It's here that he told us to meet him on a sunny September day, and it's the perfect place for our interview. From our sidewalk vantage point we can see most of Guyton's Heidelberg Project, the neighborhood-sized outdoor art installation that he has spent the past 28 years building — and re-building, thanks to recent arsons that have plagued the project for the past year and a half. Clock faces painted on boards and nailed to trees and telephone poles surround us. Nearby, a boat is piled high with mannequins and stuffed animals. Along the fences of various properties are car hoods with giant, grinning faces painted on them, sometimes along with the word "GOD." Elsewhere, installations are made out of nearly every conceivable found object you can think of — old TVs, shoes, vacuum cleaners. And then there's the colorful polka dots, painted on everything from the street to the neighborhood's trash cans to a white building that is also Guyton's childhood home. This is the world that Guyton built. 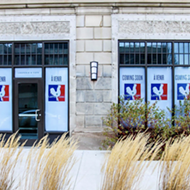 It's also unofficially one of Detroit's top tourist destinations. In the hour we sit and talk with Guyton in his "office," tourists from Ohio, Canada, and even Australia walk by, who Guyton cheerfully greets each time. Pull up to the Heidelberg Project on any given day, and there's nearly a 100 percent chance that you'll spot no less than a handful of photographers, snapping away at Guyton's wonderland — which seems situated somewhere between hope and nihilism. Like his work, Guyton himself is both comical and a little mysterious. The 59-year-old artist sits across from us in one of the plastic chairs, wearing sunglasses and holding a folder that seems to be filled with nothing but quotes from philosophers, politicians, artists, and other figures, which he consults throughout our talk. He's also prone to creating his own sort of esoteric logic. When we ask Guyton if it took people awhile to come around to his vision for the neighborhood, he responds with something that turns out to be a sort of mantra that he repeats throughout our conversation. "What I'm saying here is two plus two equals eight," he says. "It's my way of redefining my reality and getting the people to catch up to it, to grow into it. It takes time. Here, we're creating something so radical, something so different, a lot of people are afraid of it." Nearly a century ago, Marcel Duchamp wrote "R.Mutt" on a urinal and challenged the establishment by calling it art. 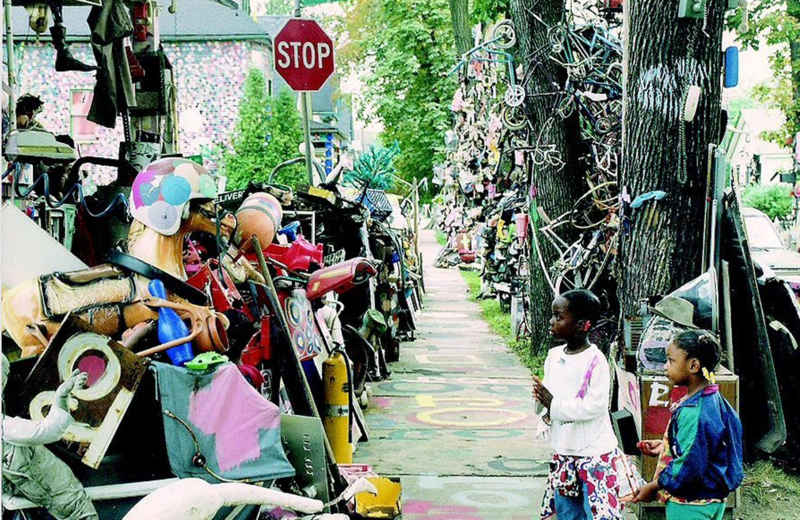 Likewise, mere mention of the Heidelberg Project is always sure to ignite a "But is it really art?" debate among metro Detroiters. "People thought that art belongs in an institution," Guyton continues. "Hello? How do you define an institution? Two plus two equals eight. I can make it up." And "But is it really art?" is a rather civil hypothetical Heidelberg debate. 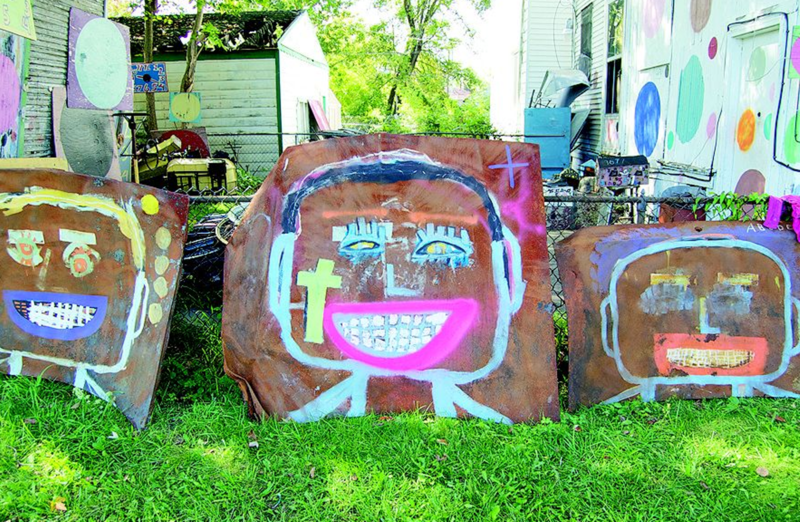 In reality, the Heidelberg Project is downright polarizing. One needs to look only as far as the reader comments on any of the news articles about the project to see the depths of people's disdain for Guyton's art. 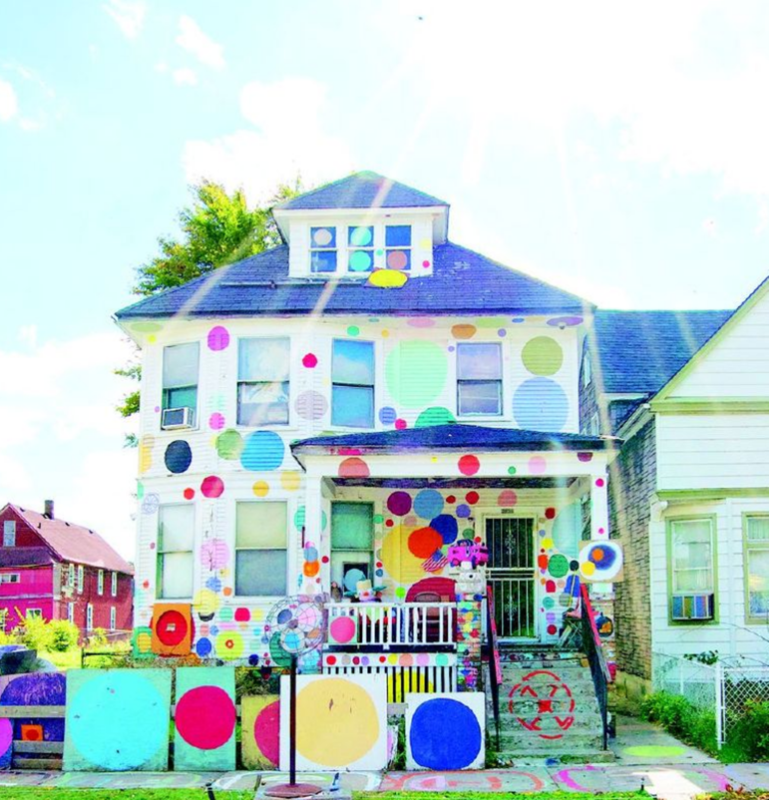 To some, it's an eyesore — if not dancing on the grave of Detroit, then at least gleefully painting polka dots on it. It's a sentiment that might explain why somebody has been systemically burning down Guyton's installations for the past year. Guyton again waxes philosophical. "Change is inevitable," he says. "Change is part of the creation called life. We have to change with it. And so like after the fire, we had an interesting conversation. You have to pick up the pieces, and you have to do something greater than before. You can't give in to adversity. You gotta become strong and put on your shield and make your mind up that you're gonna become unstoppable. "If my art is that powerful that it makes somebody burn it down, just wait and see what I'm gonna do next." 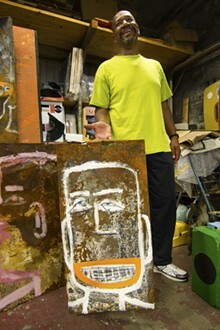 Guyton grew up on Heidelberg Street, in what is now known as the "New White House," a polka-dotted house that is the epicenter of the Heidelberg Project. A dropout of Detroit's Martin Luther King Jr. High School, Guyton briefly pursued a career in the military before moving to Oklahoma to try to start a new life there. He returned to Detroit, though, and in between stints working in the Chrysler Jefferson Assembly Plant and the Detroit Fire Department, he started taking fine-art classes at the College for Creative Studies (then known as the Center for Creative Studies). It was shortly after this time, in 1986, that Guyton says he had an epiphany. "In the month of April, I was standing there and I saw it, in my mind," he says simply. 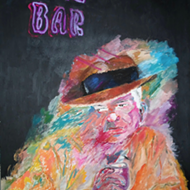 "I saw the whole project becoming a work of art. Cleaning up the vacant lots, utilizing the abandoned structures that were here — I saw it." So Guyton and his grandfather Sam Mackey began to build Guyton's vision. Of course, Guyton says his plans were initially met with plenty of resistance from his neighbors. "They didn't understand," he says. "Looking back, early on I felt they were being hostile, but now I understand that's human nature — that's what people do when they don't understand something," he says. "We live in a world today where people are afraid of the boogeyman, which is something that we create in our minds. You have to help people to understand that there is no such thing. And it takes time. "You see the clocks in the tree?" Guyton asks, pointing to one of the clock faces he painted. "Anytime you're doing anything, it takes time for people to catch up to and understand why. I've learned how to be patient. When I first started, I wanted everybody to love it. Shame on me. "I wanted people to like it right from the very beginning," he says. "That was my own stupidity." Guyton did eventually get recognition for his project, though. Within two years, he was getting press from People and Newsweek. He appeared on The Oprah Winfrey Show. 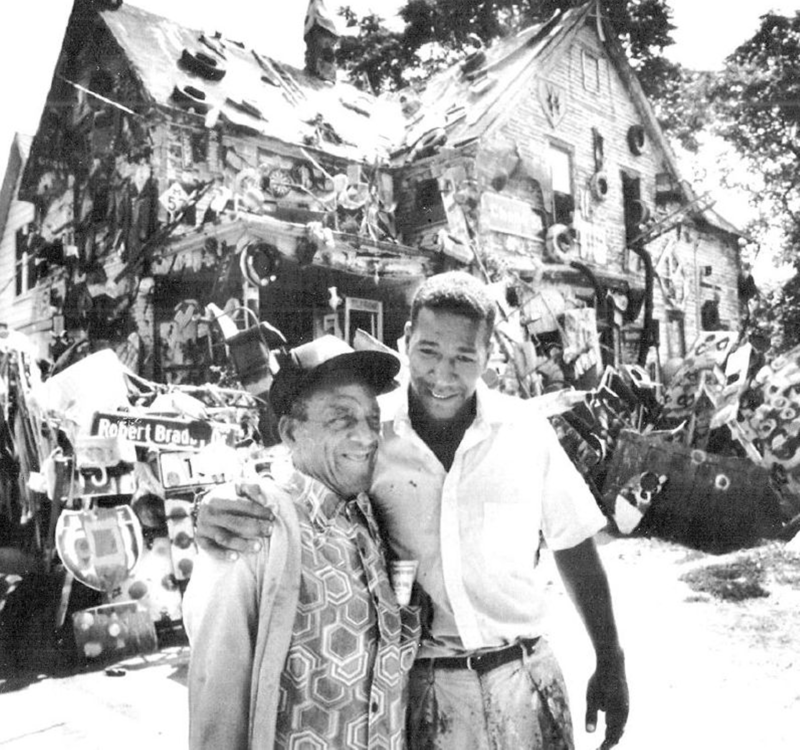 He earned a "Spirit of the City" award from Detroit City Council, which is strange, because just years later, in 1991, four of his houses would be razed by order of Mayor Coleman Young. And thus Guyton and city officials became entangled in a love-hate relationship that would last for years. The project scored a $47,500 grant from the city to build a welcome center. Despite this, Guyton's camp felt it necessary to file a restraining order against the city as a precaution. On Feb. 4, 1999, the restraining order was lifted and, within an hour, Mayor Dennis Archer sent bulldozers to raze even more of Guyton's installations. Guyton says he had moments of fear at that time. "I was in this house here and the world was out here and I thought to myself, 'I'm not going out there,'" he says. "I was in hiding, and wanted to run away." In hindsight, Guyton says the city was justified in its actions. "At the time, the city owned those houses so they had that right," he says. "I look back now at it and the city did me a big favor," he says. "The city gave me an opportunity to work on those houses when they came in and demolished those homes. They had a right to do that." Guyton opens up his folder and pulls out a piece of paper. 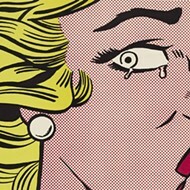 "Something I want to read to you ... something that John F. Kennedy said ...'We must never forget that art is not a form of propaganda. It is a form of truth,'" he says. "This is my truth, and I'm putting it out there. Anytime you're putting your truth out there, it's going to come up against resistance." We point out that Guyton's art project beats the alternative of letting the neighborhood fall into complete disrepair. It's not making lemonade out of lemons, he says. It's making lemonade out of nothing. "Mmm-hmm," Guyton says. "But even nothing is something." Things had calmed down in the world of Heidelberg since the 1999 demolitions. 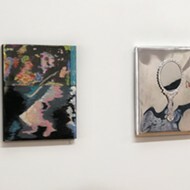 Guyton has exhibited at the Detroit Institute of Arts, and one of his pieces counts among the DIA's permanent collection. 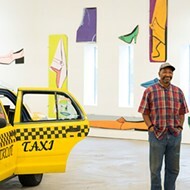 In 2009, Guyton earned an honorary doctorate of fine art from the College for Creative Studies. In 2010, he again made an appearance on Oprah. 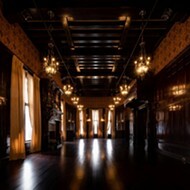 And In 2011, Guyton was invited to serve a yearlong residency in Basel, Switzerland. 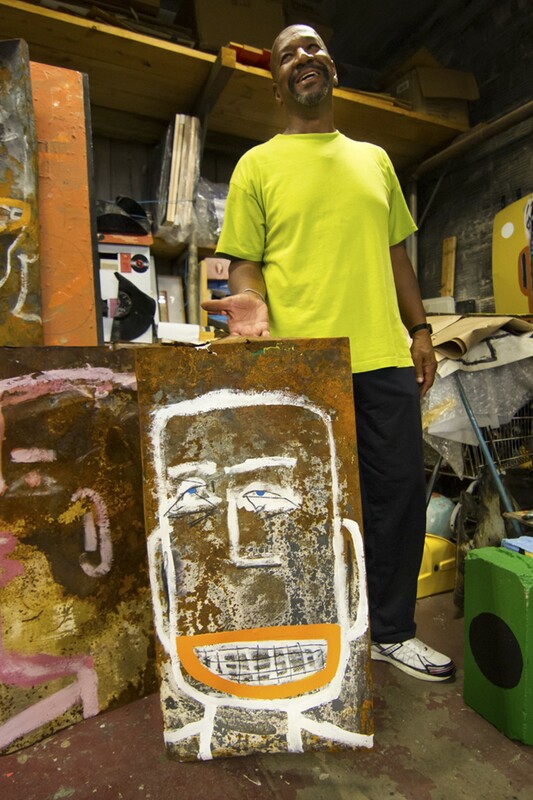 But while in Basel, Guyton says he had another premonition, similar to the one he had back in 1986 that inspired him to create the Heidelberg Project in the first place. This time, though, he says he saw Heidelberg burn. Then, on May 3, 2013, around 3:30 a.m., the Heidelberg Project installation known as the "Obstruction of Justice House" or "OJ House" was lit ablaze in an apparent act of arson. "How do you explain that?" Guyton asks. Guyton recalls the night he got the phone call about the "OJ House." "I remember that night, late at night, in the morning, getting that phone call and rushing over here and seeing this house in flames," he says. "Lit up. You could see it from two blocks down. I remember watching it. I remember being upset and nervous, and not knowing, but then remembering that dream. Life is telling you something — telling you what's going on." And the fires kept happening. The "OJ House" was again targeted on Oct. 5, where it was completely destroyed. 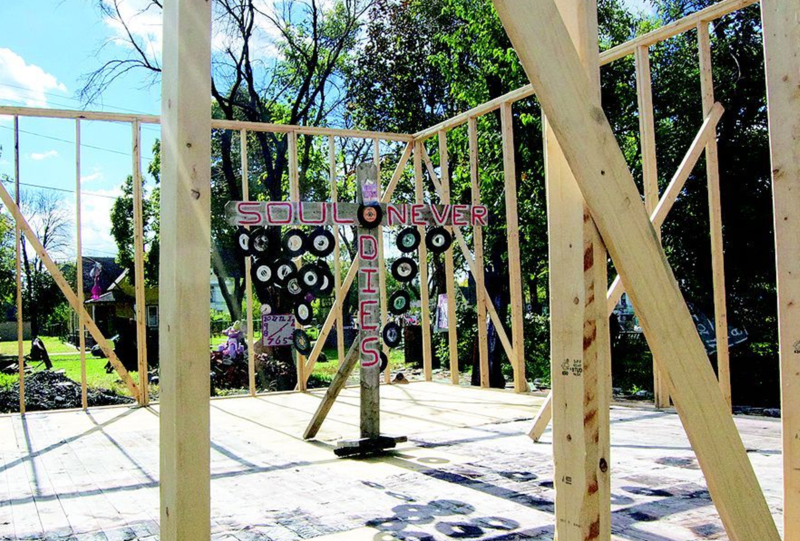 On Nov. 11, 2013, the "House of Soul" burned down. On Nov. 21, the "Penny House" burned down completely. Another arson occurred Nov. 28 — Thanksgiving Day morning — at an installation known as the "War Room," followed by a Dec. 8 fire at the "Clock House." The fires followed into the next year, with the "Party Animal House" burning on March 7, 2014. 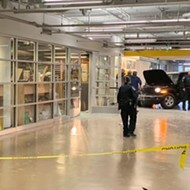 On Sept. 18 of this year, the Detroit Industrial Gallery suffered an attack. 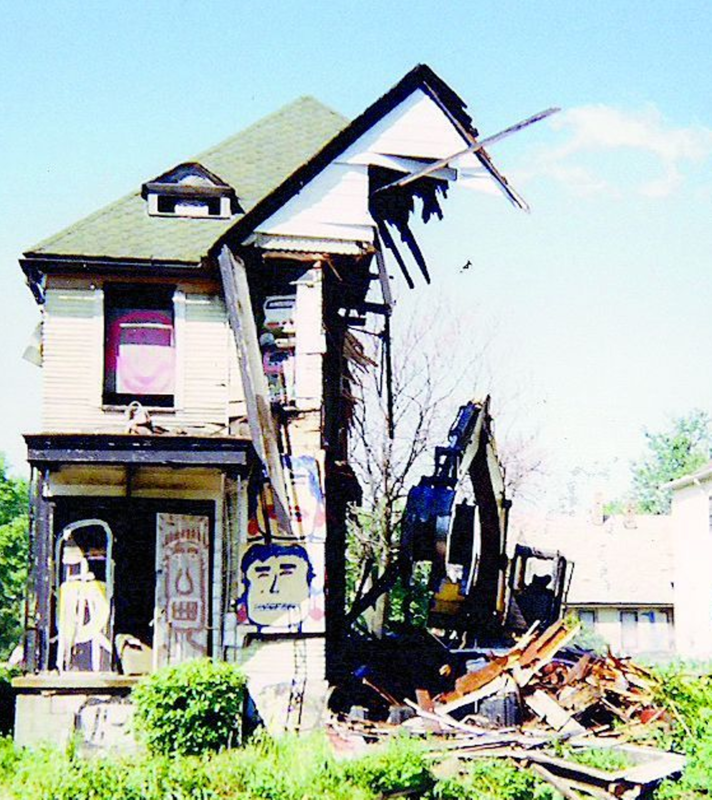 Though located directly across the street from Guyton's childhood home and featuring a similar brand of found object artwork on its exterior, the house is not officially a part of the Heidelberg Project. It's the studio of artist Tim Burke, who moved to the neighborhood 14 years ago. Fires continued on Sept. 30 when the "Birthday Cake House" burned down, a nearby abandoned house that was also not officially owned by the Heidelberg Project but was painted by the Project with images of cakes on its walls. Guyton says it was hard to watch things that he's spent years of his life working on disappear over the past year. "Something like this took years and years and a lot of moving and years and years of life into it," he says. "To have it go up in flames? That's hurtful. I don't want people to think that I'm Superman. I'm not. I'm human. But once you deal with it and let it go and start going to your bag of tricks, you do something greater. I tell myself that. Pick up the pieces. Heidelberg — who wants to take it away? In the minds of the people, it's gonna live forever." 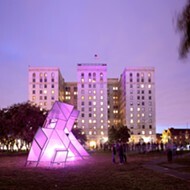 "It seems, because they have now attacked Tim Burke's work, that it would be more about getting rid of the art installations — the structures," Jenenne Whitfield tells us via phone. She's the director of the Heidelberg Project, and also Guyton's wife. She says she first drove by Heidelberg in 1993 when she was a banker. A year later she left her job in corporate America to help the Project grow. "You know how many people come to that street every day?" Whitfield asks. "Everybody who's smiling up in our faces don't necessarily love what we do." Whitfield says that all of the arsons have been targeted at structures that are unoccupied in a move that she says is aimed to eliminate the installations. "All of the fires have targeted structures where the person knew no one lived there," she says. "After Tim, they hit the '[Birthday] Cake House,' even though that's in the second block and we don't really consider that part of the concentrated area of the Heidelberg Project. It was still an act to try and remove the structures that have been artistically designed, because it draws so much attention." The fires began amid an ambitious fundraising effort launched on behalf of the project to raise $3 million over the course of three years. On an Indiegogo crowdfunding campaign following the initial fires, the Heidelberg Project employed some gallows humor by offering different pun-loaded donation levels such as "ART-sonist," "Pyro-tegé," "'Embers Only' Club," among others. That campaign wound up raising $54,280 to install a solar panel-powered security system and even employed a security guard for a brief period, though hiring a full-time guard proved cost-prohibitive. Another campaign, this time on the site CrowdRise, has failed to raise nearly as much as the last initiative, with only $585 raised by the time of press. However, the Project recently received a $50,000 grant from the Fred A. and Barbara M. Erb Family Foundation, the latest in a series of support from that foundation. Whitfield says the arsons have put a strain on her organization's finances. She says they pay nine employees and operate with an annual budget between $500,000 and $600,000. 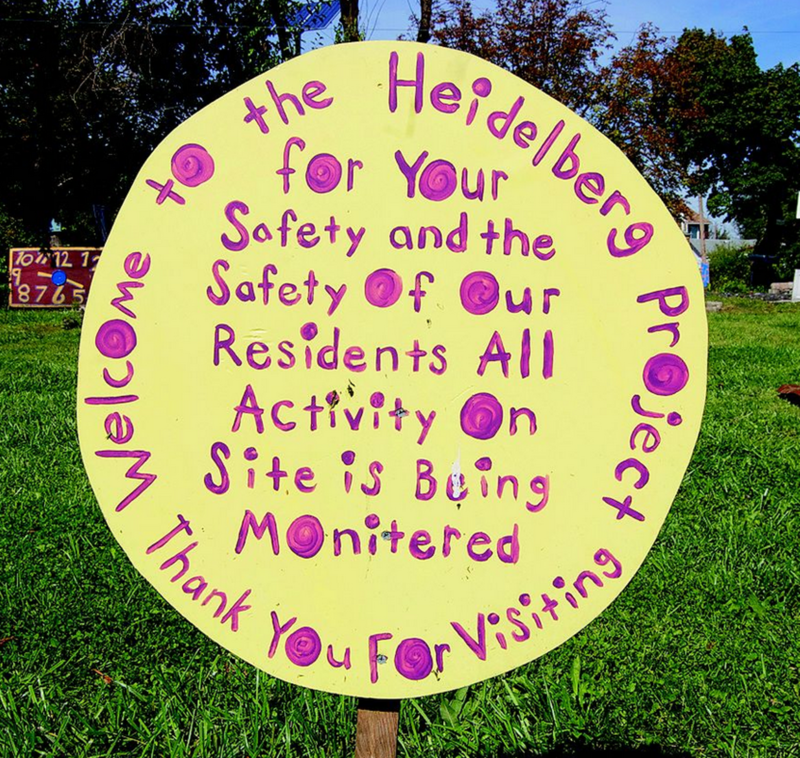 Whitfield, though, is reluctant to offer any more information about the security measures the Heidelberg Project has taken. "Why would I say that? Why would I tell you that, when the ATF has said 'The less you guys know, the better?'" she says. 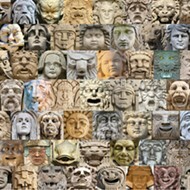 "Whatever we put out there could be giving the person who's doing this clues. We really need to be quiet as to the kind of surveillance that's out there — otherwise we're defeating the purpose." Hand-painted signs, in the shape of the site's famous polka dots, warn visitors: "For your safety and the safety of our residents all activity on site is being monitored." Whitfield sees the lack of answers as indicative of the priorities of the city of Detroit — namely, the Heidelberg Project doesn't happen to be located in, say, Midtown. "I think what we're really seeing here is the way our municipalities are operating and working, and what we're seeing is where the priorities are, aren't we?" she says. "What significance do the people in that community really have? 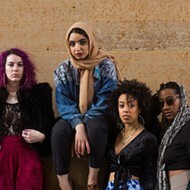 It doesn't make a difference that there's an internationally acclaimed art project that is known all over the world in that neighborhood, one that is in many ways responsible for this new art movement that we've got in the city." When asked who he thinks is behind the fires, Guyton throws his hands up in exasperation. "I've heard the conspiracies, gentrification," he says. "I've heard some people have said that I did it. I've heard it all. All I can tell you is that I won't stop." Guyton takes the opportunity to let his propensity for the dramatic shine. "All I can tell you is that what's going on in the dark will be revealed," he says. "It's gotta come to the surface. I don't get upset by none of it because I know that truth will prevail, so I'm just kind of waiting." We ask Guyton if there's anyone in the neighborhood who doesn't like what he does. He has no problem pointing us in the direction of plenty of such people. "Yeah. Just walk around. Talk to Mrs. Mildred Head," he says, indicating the neighbors of the "War Room," whose house was damaged. "This lady, Mrs. Bell, she had a problem at first, but she's changed. It's Heidelbergology. It's working. She was mad for a long time and now she's doing her own thing. 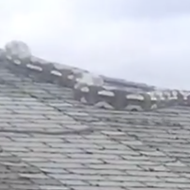 She found a way to use the project to fix her house up. I'm excited. The world is coming here and you can sit there and be mad the rest of your life, or you can put on your thinking cap and find a way to extract what you need from the people coming here." We decide to go talk to Mrs. Bell. 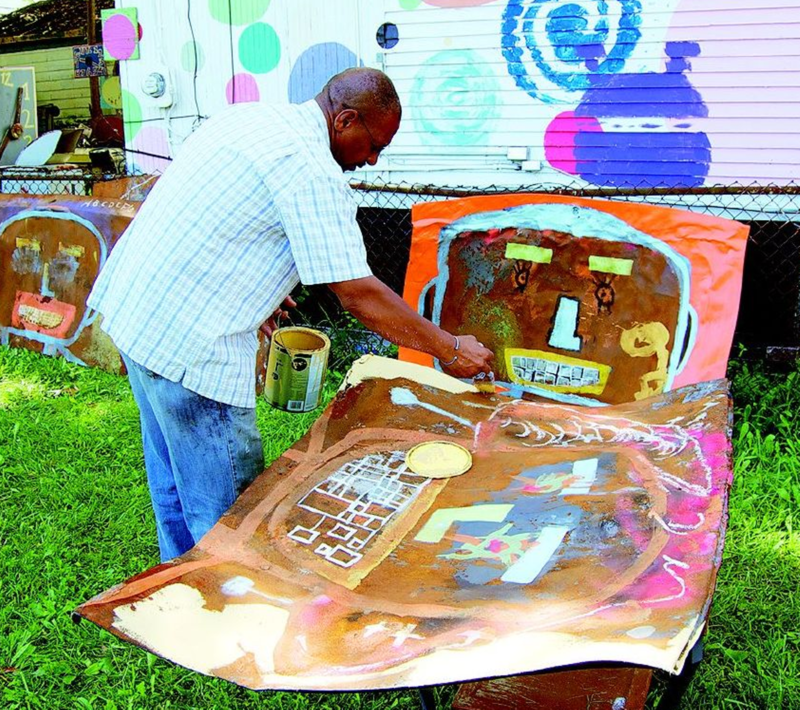 Otila Bell moved to the neighborhood a year after Guyton started the Heidelberg Project. She doesn't mince words when it comes to how she feels about her neighbor's activities. "I didn't like it," she says. "I really don't want to talk about that project. There's been so many changes, so many ups and downs. It has its negative points. There are more positive than negative, now, though." Nevertheless, Bell realized she could benefit from her proximity to Detroit's offbeat tourist attraction. Since 2011, she's been selling water, Gatorade, and, for a $1 donation, visitors can sign their names on her house, dubbed the "YellowHouse GuestBook." The money, Bell says, is going toward rehabbing and painting her house. The house is covered in autographs, which count a number of celebrities among them. Bell tells us that Charlie LeDuff, the band Florence and the Machine, and Anthony Bourdain have all signed it recently. "I've tried to get Motor City Blight Busters and other organizations to help me," she says. "No response. So, we came up with this." We point out that Bell probably wouldn't be able to raise the funds needed to paint her house if not for her proximity to the Heidelberg Project, but Bell disagrees. We point out that the YellowHouse GuestBook is at least in the spirit of the Heidelberg Project, but again, Bell disagrees. 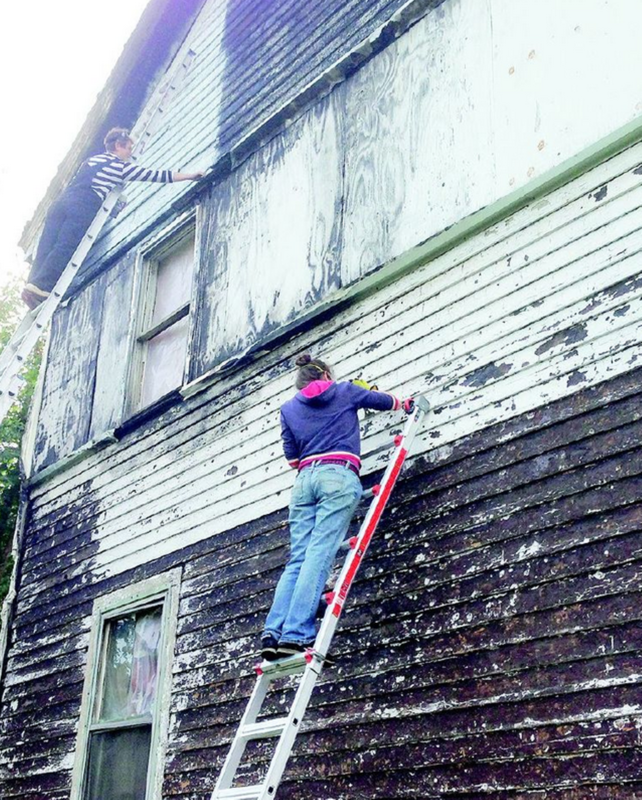 "Well, I wouldn't say the spirit because my home is going to be painted," she says. "I'm not going to hang teddy bears and all that on my home. I live here, I've raised my children here. I have a few of them in college. Tyree's a pretty nice guy. We speak, we get along. As you see, there are no polka dots in front of my house, no faces painted on the sidewalk, and all these beautiful flowers. "They take care of their property, and they get grants or whatever. But they don't help me," Bell says of her neighbors. "They offered me $200 — I turned it down. $200 is not going to do what I need to do."